At Callahan Law, P.S., Inc, we are passionate about defending our clients rights in the court room and standing as their advocate against insurance companies. Flat Fee's for all criminal/traffic cases. "Driven In Defense of Those Who Drive"
Compassionate and Fearless Advocates for those injured in an accident. Callahan Law, P.S., Inc. offers dedicated representation for people in the greater Seattle and Tacoma areas who've been injured in vehicular accidents or by slipping and falling on someone else's property. If you've sustained injuries caused by someone's negligent or reckless actions, you have a right to seek compensation for your losses. Our experienced and caring attorneys offer comprehensive counsel to people injured in western Washington, handling the legal details so they can concentrate on recovering. Our clients' peace of mind is our priority. 1. 98% of our criminal case load consists of DUI Defense. 2. We are Factory trained by the manufacturer of the breath test machine, giving our firm an advantage other firms simply don't have. 3. We have Advanced training in Blood Testing including gas chromatography at Axion Labs in Chicago as well as phlebotomy. 4. We are Certified in Field Sobriety Testing by the National Highway Traffic Safety Association. At Callahan Law, P.S., Inc. we pride ourselves on personal and compassionate attention for our injured clients. Our attorneys dedicate their time and attention to ensure our clients are compensated not only for their injuries or pain and suffering, but also for loss of enjoyment in the basic things we do every day. Auto accident injuries can affect our ability to handle household chores or even carry a small child, all these and more are part of our demand to insurance companies when settling our clients injury cases. As a criminal defense attorney, Megan is an aggressive and compassionate advocate for all of her clients. Megan Powers attended the Walter F. Georgia School of Law at Mercer University in Macon, GA. Before law school, she attained her Bachelors of Science in Electrical Engineering. This combination of degrees gives Megan a unique perspective when advocating for her clients. At Mercer, she was the president of the Association of Women Law Students as well as the Vice Chair of Mock Trial for the Mercer Advocacy Council. Competing in the National Trial Competition is where she honed her oral argument skills and realized her passion for trial advocacy. 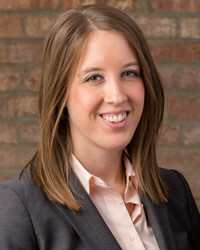 Prior to joining Callahan Law, Megan worked as a law clerk and as an associate attorney at several firms, dealing with issues ranging from creditor's rights to criminal defense. When she's not helping clients, you can find her exploring her new home in the Pacific Northwest and traveling all over the world. Megan stands ready to defend you in your Washington DUI case. Submit a free online case evaluation form to connect with her today.